Middlewich Heritage Day on Saturday 30th June - our first step towards creating a better heritage programme for our town and making our service more accessible. 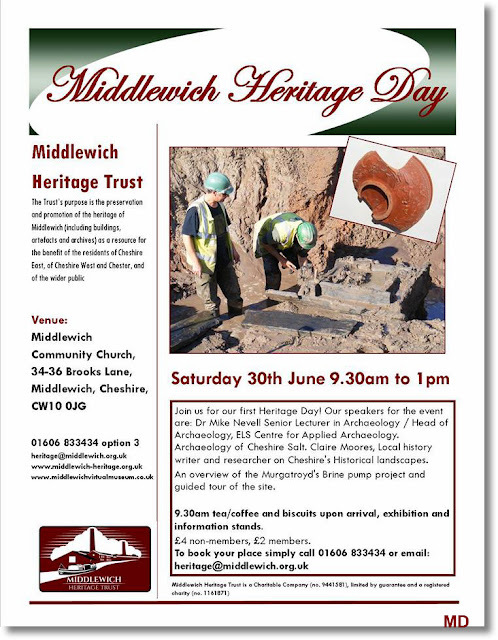 We're at Middlewich Community Church, doors open at 9.30am and finishes at 1pm. Our speakers are Dr Michael Nevell and Claire Moores, and we will be able to update everyone on the Brine Pumps project.